Ex-CIA Officer Arrested On Suspicion Of Exposing U.S. Spy Network In China : The Two-Way Jerry Chung Shing Lee, 53, was arrested at New York's JFK airport on Monday, capping a six-year investigation that began when the FBI searched his hotel room in 2012, uncovering classified notes. The New York Times says the investigation took place against a backdrop of a major breach of CIA informants in China that began around 2010. A former Central Intelligence Agency officer is under arrest on charges of illegally retaining highly classified information relating to the U.S. spy network in China – including notebooks containing lists of informants and details of their operations, the Justice Department announced Tuesday. Jerry Chun Shing Lee, 53, a naturalized U.S. citizen who now lives in Hong Kong, was taken into custody Monday night at New York's John F. Kennedy Airport. 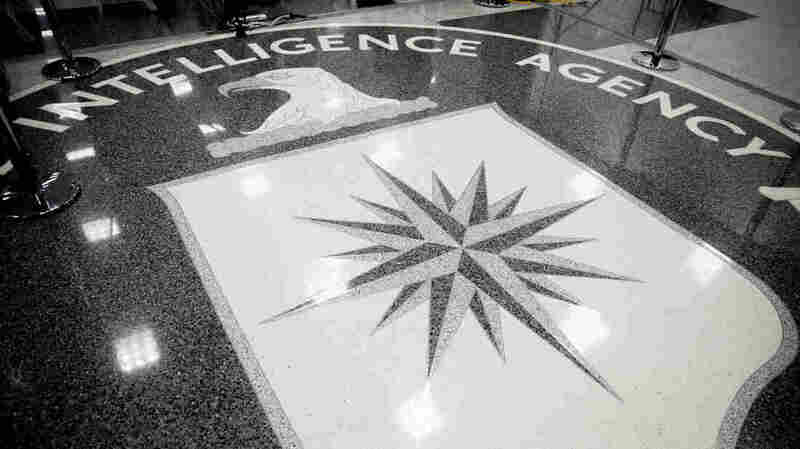 An investigation of the former CIA case officer began in 2012, five years after he left the agency, the Justice Department says. He began working at the CIA in 1994 and had a top-secret clearance. A court affidavit says that in 2012, while Lee and his family were in Honolulu during a layover en route from Hong Kong to the U.S., the FBI executed a court-authorized search of his hotel room. There, agents found and photographed the contents of two small books that contained handwritten notes "pertaining to, but not limited to, operational notes from asset meetings, operational meeting locations, operational phone numbers, true names of assets, and covert facilities." The notebooks contained information of varying degrees of classification, but according to the the affidavit, at least one page contained top-secret information that "could cause exceptionally grave damage to the national security of the United States" if revealed. NPR's Rob Schmitz, reporting from Shanghai, says it is unclear why the FBI did not arrest Lee once the notebooks were discovered. The New York Times writes that the information was used by Beijing to dismantle U.S. spy operations and identify informants inside China. The newspaper says that the investigation took place against a backdrop of a major breach of CIA informants in China that began around 2010 and "rivaled losses in the Soviet Union and Russia during the betrayals of both Aldrich Ames and Robert Hanssen, formerly of the C.I.A. and the F.B.I. They divulged intelligence operations to Moscow for years." With more than a dozen informants killed or imprisoned, some intelligence officials began to suspect a mole inside the agency, according to the Times. Lee made his first appearance in court Tuesday afternoon in the Eastern District of New York and has not contested extradition to Virginia. The Washington Post notes, "People familiar with the matter said that Lee's arrest would be greeted as cause for celebration among current and former CIA officials. But they said it would be hard to prove in court that Lee had provided the information that proved so damaging to the agency's operations."